– 92% lower for FDA s list of 92 harmful and potentially harmful constituents (HPHCs). Jacob Sullum: Study confirms health advantages of vaping Why do US officials insist on obscuring them? Robert Song: Is vaping healthy? – Regular e-cig use (i.e. at least weekly) was reported by 41.8% of daily smokers, 17.5% of ex-smokers and 0.5% of never smokers. 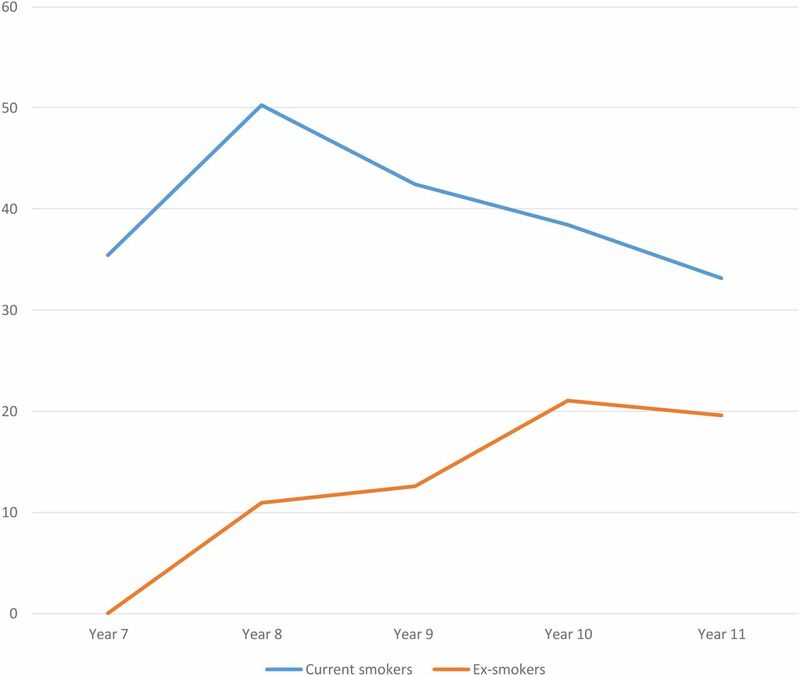 – Ex-smokers accounted for increasing % of regular e-cig users every year age of youth increased (indicating e-cigs help increasingly more youth quit smoking as they get older). 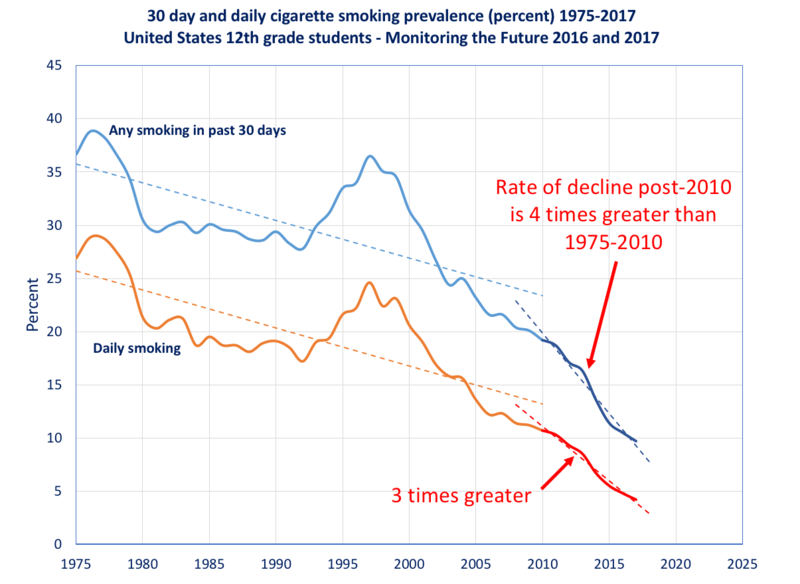 – 18.5% of youth ever-used an e-cig, and 2.7% reported regular use, but authors refused to reveal daily-use data (likely because it was negligible, only included smokers and ex-smokers, and since doing so would disprove the authors public criticisms of vaping). – 83% of weekly smokers who ever used an e-cig smoked cigarettes before trying vaping. – 10.5% of youth ever-smoked a cigarette, and 2.3% reported daily cigarette smoking. 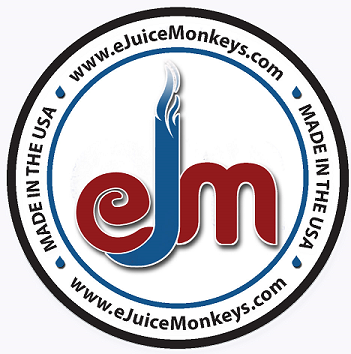 – allow FDA to impose many unwarranted standards to ban virtually all vapor products. – ban vapor product advertising in publications that cigarette advertising is banned. Indiana bill (HB 1476) would tax e-liquid at $.10/ml. Maryland bill (SB 669) would increase minimum age for vapor/tobacco sales to 21, Senate Finance Cmte hearing scheduled for March 9. Foundation for a Healthy Kentucky protects cigarettes by lobbying to increase minimum age to sell very low risks smokeless tobacco and lifesaving vapor products from 18 to 21. Health Canada s Suzy McDonald Part 2 interview with Regulator Watch s Brett Stafford, McDonald touts warnings that will falsely claim vaping is addictive for nonsmokers, repeats many false fear mongering claims about nicotine (that Health Canada has approved and promoted as medicine if/when marketed by Big Pharma), falsely insinuates vapor products have addicted nonsmoking youth, may be gateways to cigarettes, and repeatedly refers to vapor as tobacco to conflate its risks with those of cigarettes. Transcript of chat with CDC sponsored US Department of Defense s so-called tobacco cessation expert who repeatedly misrepresented the very low risks of smokeless tobacco. After lying about and lobbying to ban lifesaving vapor products since 2009, CDC falsely claims it is a leader in national efforts to ease the burden of cancer. Clives Bates exposes junk research methods and negligible findings by Obama DHHS funded Primack et al, who falsely claimed their study found e-cigs were gateways to cigarettes to lobby for FDA Deeming Rule that bans vapor product sales to adults. FDA/NIH funded David Payton (coauthor of deceitful dry puffing emits formaldehyde letter to NEJM) finally admits vapers cannot tolerate dry puffing , fails to apologize for deceiving the public by manufacturing and promoting a deceitful formaldehyde panic, makes even more false fear mongering claims about vapor to news media. NIH funded anti vaping activists repeat dozens of false fear mongering claims about vaping to demonize lifesaving vapor products, advocate vapor and vaping bans. DHHS funded 2014/15 study finds 15.8% of US adults had ever-used hookah, but only 1.5% used hookah in past-30-days (indicating hookah poses very low risk of dependence, and that the hookah fad has passed). Finds young adults, college educated, never smokers, and ever hookah users were more likely to know hookah poses lower risks than cigarettes, but authors deceitfully conclude Public health interventions should target these subpopulations to provide them with accurate information on hookah smoking. Bloomberg Philanthropies and DHHS funded Frank Chaloupka falsely attribute cigarette smoking diseases and deaths to other tobacco products, advocate taxing ALL tobacco/vapor products regardless of the product s risks, benefits or costs to government. Editors at Tobacco Control Journal (aka Tobacco Prohibition Journal) criticize experts who critique their anti-THR junk studies that advocate quit or die prohibition policies. Foundation for a Healthy Kentucky protects cigarettes by lying about lifesaving vaping; falsely claims e-cigs can be just as harmful as cigarettes, are toxic and addictive, are gateways to cigarettes, and don t help smokers quit. Survey finds just 29% of Kentuckians correctly know that vaping is safer than smoking cigarettes.